Mcclellan, Catharine. "Tagish". The Canadian Encyclopedia, 16 October 2018, Historica Canada. https://www.thecanadianencyclopedia.ca/en/article/tagish. Accessed 21 April 2019. Traditionally the Tagish were boreal forest hunters and fishers. By about 1800, however, the near extinction of the coastal sea otter owing to the Euroamerican Fur trade led to a demand for fine land animal furs from the interior. Tagish peoples, also known as the Carcross/Tagish First Nation, were traditionally centered around a series of lakes forming part of the Yukon River headwaters that drain the interior plateau in northern BC and southern Yukon. Their chief 19th-century settlement was Tagish, at the junction of Tagish and Marsh Lakes, but they did not live there year-round because of the requirements of their seminomadic subsistence cycle. The original village site was in Tagish and the location of the town of Carcross was in fact the seasonal hunting grounds for caribou. The White Pass and Yukon railway, extending from Skagway through Carcross to Whitehorse, was completed in 1900. Attracted by the railway, after 1900 most Tagish, descendents of the Tagish and the Inland Tlingit from southeast Alaska, began to live permanently in Carcross, however, some remain at Tagish and others in Whitehorse. The Chilkoot Trail was a trading route of the Tagish and remains as part of Carcross/Tagish First Nation territory. Traditionally the Tagish were boreal forest hunters and fishers. By about 1800, however, the near extinction of the coastal sea otter owing to the Euroamerican Fur trade led to a demand for fine land animal furs from the interior. The Tagish increased their own trapping activities, including trade with the Tlingit between the coast and interior, and also acted as middlemen between Athapaskan Aboriginal people farther inland and Coast Tlingit traders who, until shortly before the Klondike Gold Rush (1898-1899), prevented the Tagish from crossing the mountain passes to trade directly with Europeans. The Klondike gold discovery was made by George Carmack, an explorer who was prospecting in Han country with a party of Tagish with whom he had been living. 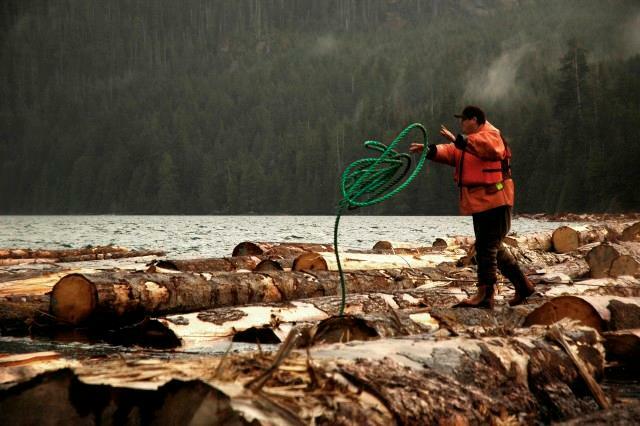 Today most Tagish are wage earners, although they still garner food from the land. 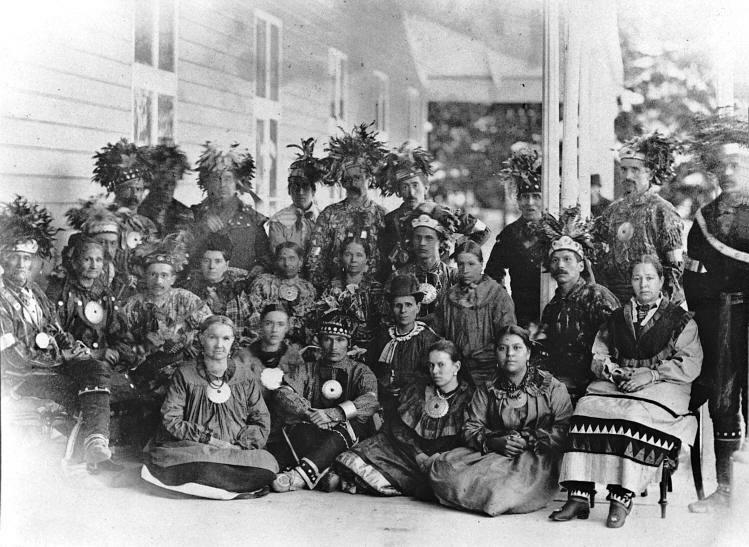 Most ancestors of the Tagish originally spoke a dialect of Tagish-Tahltan-Kaska, part of the Athapaskan language family, but in the 19th century, fostered by the growing fur trade and subsequent gold rush, the Tagish gradually adopted Tlingit speech as the result of intermarriage with Coast Tlingit and the partial movement into the interior of two coast clans, one belonging to the Wolf (Eagle) and one to the Crow (Raven) moiety. Today most Tagish speak English. Angela Sidney, a well-known Tagish storyteller awarded the Order of Canada 1986, was the last fluent Tagish speaker. She died in 1991, leaving behind several publications, part of a growing body of published Yukon Aboriginal texts. In the late 19th century each Tlingit clan segment built a Coast-style house at Tagish, embellished with clan crests. The Tagish also incorporated Tlingit concepts of rank associated with a fixed pool of personal names, believed to be renewed each generation through reincarnation and supported by elaborate memorial potlatches (see Aboriginal People: Northwest Coast; Potlatch). Tagish and Tlingit cultures are matrilineal. The Carcross/Tagish comprise six clans; two of the six are part of the Wolf and the four descend from the Crow moiety. The Tagish still sustain a rich repertoire of oral literature, singing and dancing that reflects social etiquette and morals and instructs the young in how to live harmoniously with powerful spirits of the natural world who control the supplies of game and fish. Although maintaining some of their traditional heritage, 20th-century Tagish have become successful big game guides, pilots, government workers, health professionals, anthropologists or hold other wage earning jobs. Tagish leaders also took the initiative in seeking adequate social services for both status and nonstatus Indians (see Indian) and in developing the Council for Yukon Indians, which sponsored the Aboriginal Land Claims negotiations leading to a settlement in 1993. 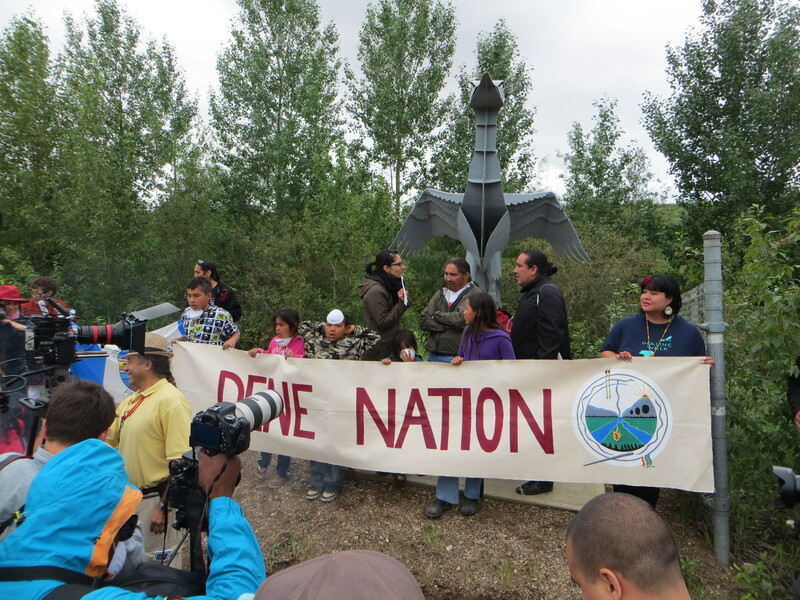 They have now joined the Council for Yukon First Nations, formed in 1995 to succeed the CYI. The CYFN mission is to establish a Yukon First Nations government to co-exist with the Territorial and Federal governments. The Carcross/Tagish First Nation is part of the Tlingit Tribal Council. See also Aboriginal People: Subarctic and general articles under Aboriginal People. Julie Cruikshank, Life Lived Like A Story (1990). Canadian Aboriginal Writing and Arts ChallengeThe website for the Canadian Aboriginal Writing and Arts Challenge, which features Canada's largest essay writing competition for Aboriginal youth (ages 14-29) and a companion program for those who prefer to work through painting, drawing and photography. See their guidelines, teacher resources, profiles of winners, and more. From Historica Canada.